“The Land of Spirits” as it is popularly known, the Balpakram National Park stands 3000ft above ground in Meghalaya surrounded by Garo hills as well as clouds of mysterious stories. There isn’t one or two but more than 45 such findings that has the world looking for answers. The native Garo tribes believe this land to be highly sacred and of immense religious importance. They believe that the spirit of the dead stopover at this place while their transit. The park seems to be shrouded in mystery. Nevertheless, the breathtaking scenic beauty of the landscape won’t fail to charm you. The beautifully curved trees, the canyons, the dense forests housing some of the extinct, rare species and the unsolved mysteries combine to create a unique experience! Three seasons prevail: the cold, the hot and the wet season. Winters last from November to February when the average temperature lies in the range of 7˚C to 25˚C. The summer season is quite hot and dry with average temperature reaching upto 37˚C during the months of March and May. The rainy season lasts from June to September. The best time to visit Balpakram National Park is from October to March when the climatic conditions are pleasant and many animals are visible. Balpakram National Park is home to many rare and extinct species. 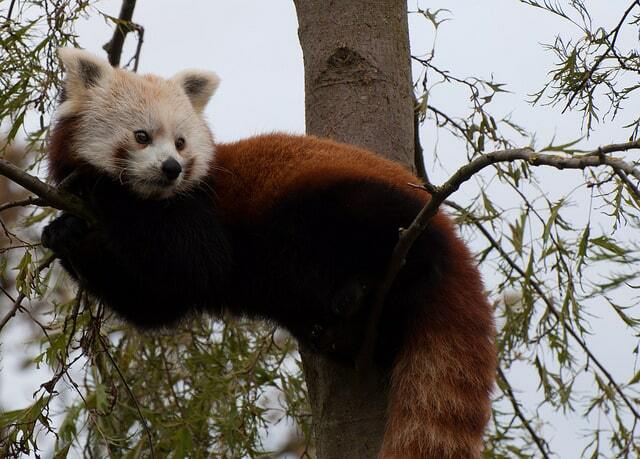 These include a small population of the Red Panda. The mystery as to why the Red Panda is found on this piece of land remains unsolved. The endangered Wild water buffalo and the extremely rare Golden Cat can be found in here. As many as 8 species of cats can be found including the tiger, leopard and marbled cat among other. Balpakram also provides shelter to the Asian elephants, remnant herds of Indian Bison, rare stump-tailed macaque, pig-tailed macaque, Wild boar, Sambar, Slow Loris and barking deer. Balpakram is home to many species of birds as well. Approximately, 250 species of birds have been identified till now. 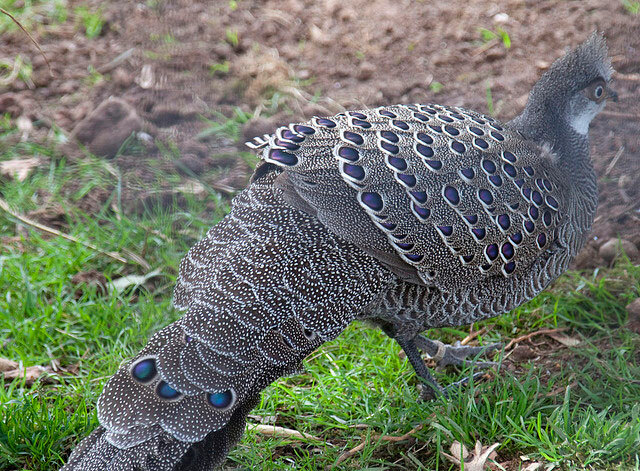 These include Mountain Bamboo Partridge, White Cheek Partridge, Grey-Peacock Pheasant, White-throated Bulbul, Bay Woodpecker to name a few! • Reptiles: Reptilian species such as python, viper, krait, mountain lizard, gecko, king cobra etc can be found here. • Vegetation: Balpakram consists of sub-tropical vegetation and deciduous trees that is ideal to support the biodiversity in this land. Beautiful wild flowers are found to grow during the months of March-May that adorn the entire landscape of the park. An interesting feature here is the deep gorge or canyon that is believed to be the resting place of the spirits. The best way to reach Balpakram national park is via Tura which is approximately 156 km away. • By Road: Once you reach Guwhati or Goalpara town, you can avail night super buses from Guwhati or day buses from Goalpara towards Tura. From Tura, you need to hire an SUV towards Baghmara. The SUV can also be hired for the entire journey from Guwhati/Goalpara towards Baghmara. Helicopter services also operate from Shillong and Guwhati towards Tura. Hotels and Guesthouses are available at Shillong, Guwhati, Tura and Bhaghmara as well. Baghmara Tourist Lodge, lying at a small hill top is considered a great place to stay. No accommodation is available in the park. • A permit is required to enter the park. The tourists must obtain a permit and make reservations from Divisional Forest Officer, Tura. We are planning to visit Balpakhram National park for photography and safari.. please let me know detail regarding logical tour plan, package cost with accommodation, car rental etc.. If any local contact person is available who can conduct the trip..